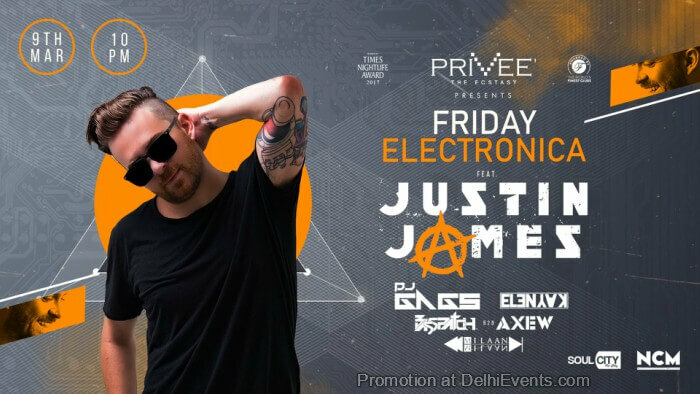 Justin James has managed to carve out a name for himself in the international nightlife circuit and create a following. Justin is known for his eclectic and intelligent musical selections and open-format style of playing. Accreditation's include former MTV Spring Break DJ and Dayglow Tour (Now Life in Color aka LIC), bookings / residencies all over the world; Beijing, Shanghai, Hong Kong, Bangkok, Phuket, Kuala Lumpur, Taiwan, Melbourne, London, Miami, NYC, Chicago, Los Angeles, Las Vegas, Puerto Rico, and the Caribbean just to name a few. Justin is currently based out of Phuket, Thailand and is a resident at the famed Illuzion nightclub (Voted #81 club in the world by DJ Mag)."